Explanation: On March 17, the MESSENGER spacecraft became the first to orbit Mercury, the solar system's innermost planet. 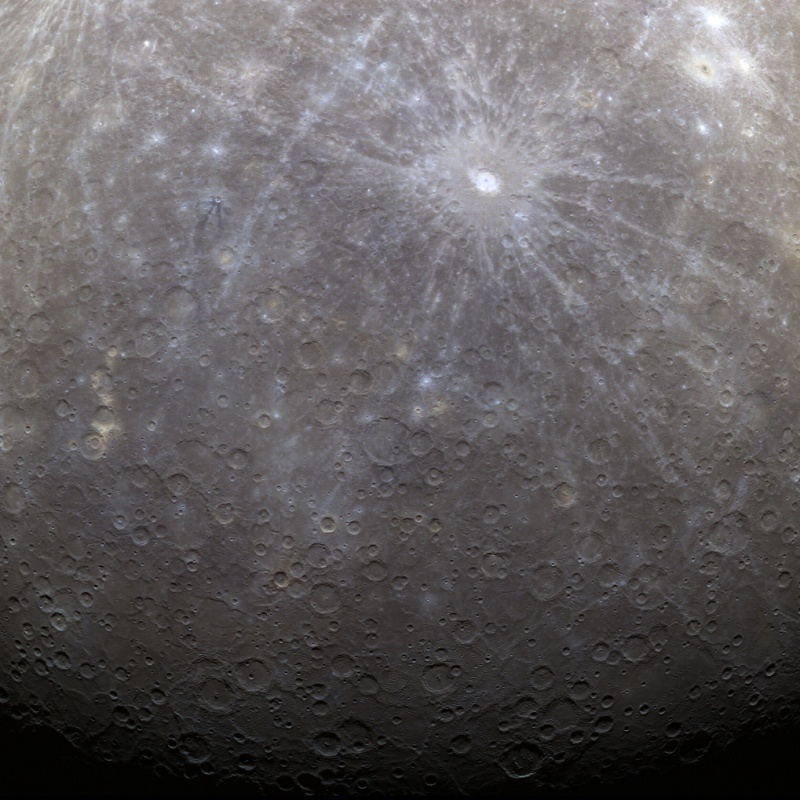 This is its first processed color image since entering Mercury orbit. Larger, denser, and with almost twice the surface gravity of Earth's moon, Mercury still looks moon-like at first glance. But in this view its terrain shows light blue and brown areas near craters and long bright rays of material streaking the surface. The prominent bright ray crater Debussy at the upper right is 80 kilometers (50 miles) in diameter. Terrain toward the bottom of the historic image extends to Mercury's south pole and includes a region not previously imaged from space.